Help us make this a fear-free experience for your loved one. Our practice is committed to low-stress handling techniques. Here’s why—and how you can help reduce your pet’s stress. Any time your pet feels threatened, whether that threat is real or imagined, changes occur imme­diately within his or her body to prepare for fight or flight. These changes occur because your pet’s nervous system releases a variety of stress hormones that have pro­found effects across many different systems in the body. The release of these hormones results in the immedi­ate availability of energy and oxygen intake and decreases blood flow to areas not critical for movement. This can also inhibit digestion, growth, immune function, repro­duction and pain perception. When your pet is under stress, the memories of any events occurring during that time will be very powerful, and how your pet is handled during veterinary visits may have long-standing conse­quences for our future ability to handle him or her. When stressors are unremitting and the stress response continues, virtually every system within the body can be pathologically affected to varying degrees—cardiovascular, metabolic, reproduc­tive, gastrointestinal, immune and integumentary (skin). The results can include myopathy (muscle disorders), fatigue, hypertension, decreased growth rates, gastrointestinal distress and suppressed immune function, with subsequent impaired disease resistance. Chronic stress can even lead to structural and functional changes in the brain, and, when extreme conditions persist, permanent damage can result. When pets show subtle signs of fear or anxiety during a veterinary visit, if we proceed without attempting to ameliorate the stress, we may not change the pet’s behavior at that time, but the animal will learn from the experience and will likely behave in a more fractious manner at the next visit. Anything we do to relieve the stress of the visit will pay off in future visits being less difficult for your pet. Remember that frequent, distressing experiences can negatively impact an animal’s overall health and well-being. Also, by continuing with a procedure when an animal is showing signs of anxiety, we are teaching the animal that its normal means of communication is meaningless. If we do that, what recourse might that animal have but to develop other less tolerable means of communicating its discomfort? To avoid this scenario, when we identify signs of fear—especially during elective procedures—we may stop the visit and ask you to return at a later time when the pet is less stressed. Choices may include giving your pet medication for decreasing anxiety before the next visit or training sessions to teach your pet that veterinary procedures can be painless—and even fun! 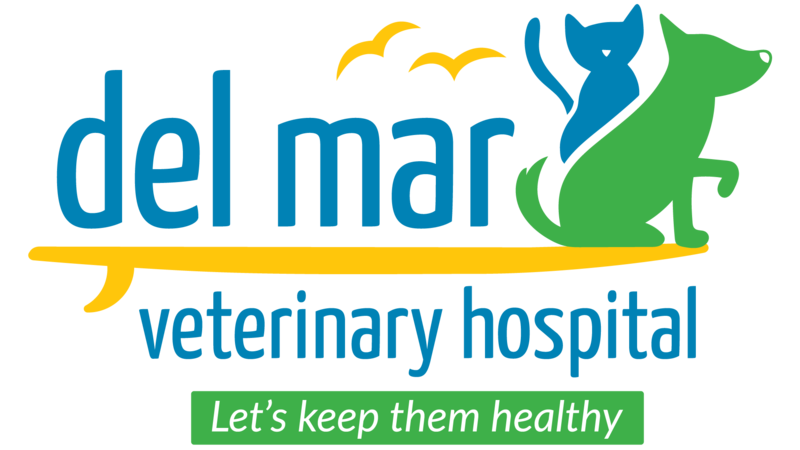 Below some more specific tips on how you can help us make this their best veterinary visit experience possible. Having a quiet car ride – Noise is a major anxiety trigger for pets during car travel. Here’s how you can help reduce your pet’s stress. What pets hear on their car ride influences their anxiety level before they ever enter the veterinary practice. You may not be able to avoid some car noises, such as highway noise—rumble strips are especially bad—and other environmental sounds, including sirens, construction equipment and dogs barking. Even so, if you can keep your pet calm on the drive to the hospital, your pet may be an easier patient than if she’s already feeling amped up. Then offer a reward for the good behavior. Distract with calming noise – You may also try playing calming music in the car to ease tension for you and your pet. Consider music designed for pets or classical music that offers calming qualities and drowns out excess road noise that may be nerve-wracking for your pet. Delivering a calm pet to the clinic – Try to condition your pet to the carrier or restraint device and to car rides, long before the day of the veterinary visit. Cats should be allowed to use their carriers daily as a resting place so that the carrier is familiar and comfortable, rather than something associated with a frightening car ride. To keep the pet calm on the day of an appointment, discuss with your veterinarian the use of Adaptil™ or Feliway® pheromones (Ceva), calming nutraceuticals, and carrier covers. Please remember that as an owner, you would need to remain calm as well. Consider playing special calming music and use aromatherapy in the car. Keep in mind that some pets may require prescription anxiolytic medication before they leave home. Limit food before an appointment so treats are more effective. If your pet’s appointment is around its meal time, you should use a smaller amount of the pet’s food (unless medically contraindicated). This is so the pet will respond better to food rewards at the veterinary hospital. Also, bring the pet’s favorite treats to the appointment. Front-clip harnesses with fixed-length leashes and never-retractable leashes are highly encouraged, as they gently prevent pulling on leash and keeps the pet under direction. For cat owners – Carriers with removable tops are encouraged. Also, bring something (towel or blanket) that you could cover their carrier with. When carrying your pet carrier, try not to swing the carrier. For dog owners – In case a muzzle is needed, pre-train your dog to muzzles with treats beforehand. 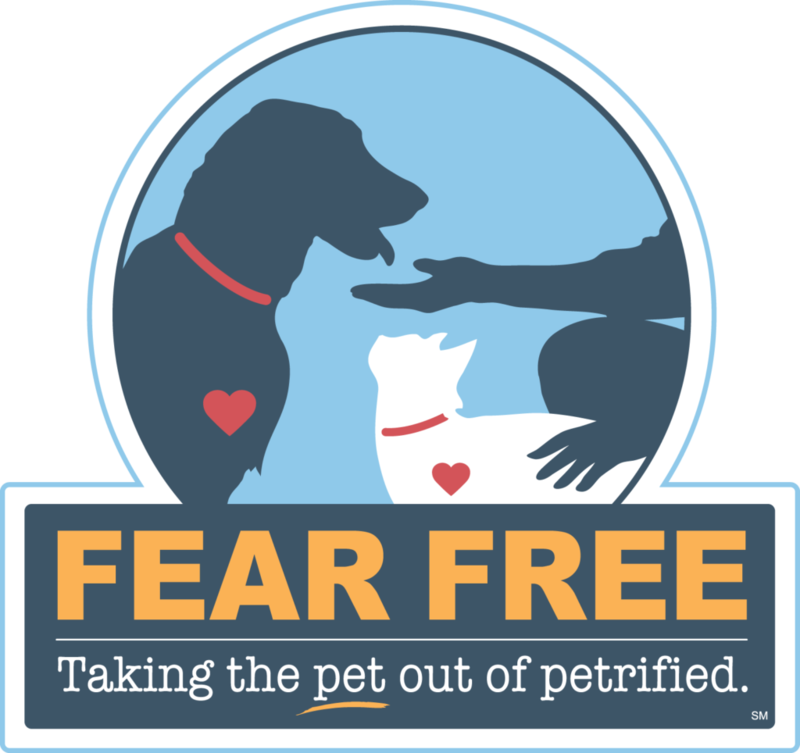 Feel free to reschedule the appointment if you feel your pet is experiencing fear. The least we want your pet to have, is a negative first impression. Most importantly, at the time you are scheduling the appointment, let us know your pet’s likes and dislikes. We will do our best to accommodate their needs.